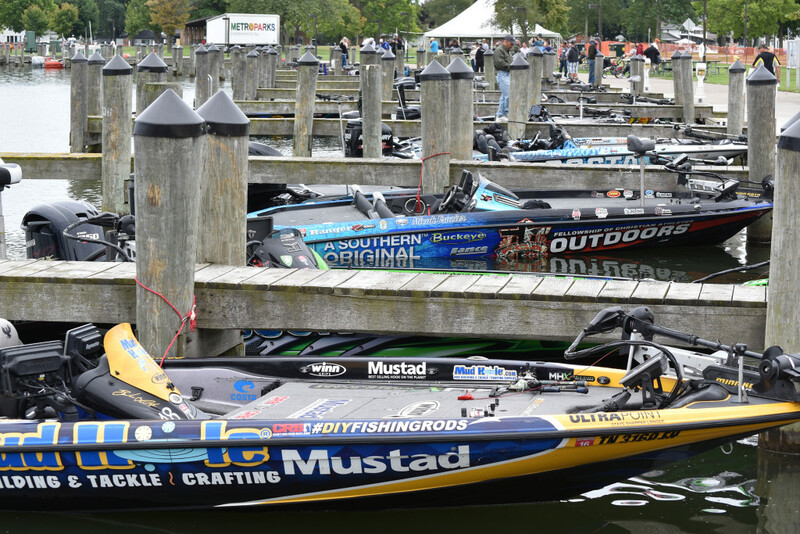 The Pro Elite Bassmasters are at Lake St. Clair Again, this weekend August 28-30, 2015. 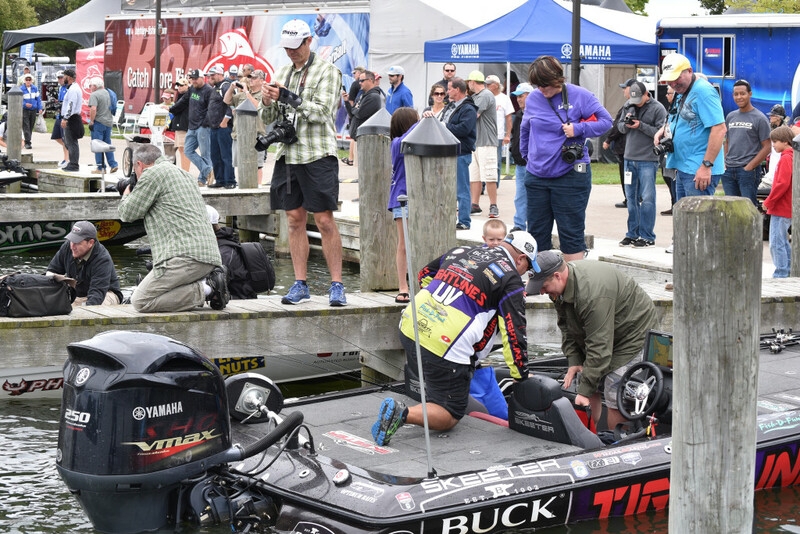 With the Bassmaster Elite Series regular season schedule coming to a close, many anglers are still fighting for crucial points in the Toyota Bassmaster Angler of the Year standings. It is again an honor that Lake St. Clair has been chosen to be part of their annual circuit. It is very exciting to witness the 100 boats in the basin taking off each morning at 6:20 a.m. from Lake St. Clair Metropark. Weigh-ins each afternoon will begin at 3:15 p.m. each day, with pros competing for a first-place prize of $100,000! Here are a few photos from Thursday… great event for kids to get some autographs! Please remember to give the fishermen a wide birth while boating Saturday & Sunday.